Modern London is a relatively new creation. By the mid twentieth century, the urban areas, around the historic city had grown six fold, since 1885 and it was felt these new suburbs, needed their own identity. Thus in 1965 Greater London came into being. In this process the historic county of Middlesex, was swallowed up entirely; the only English county to have suffered this fate. 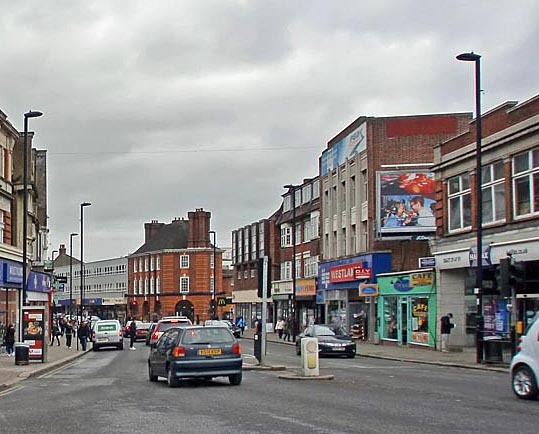 Nearly all the old county became the London boroughs of Brent, Ealing, Enfield, Haringey, Harrow, Hillingdon, and Hounslow. 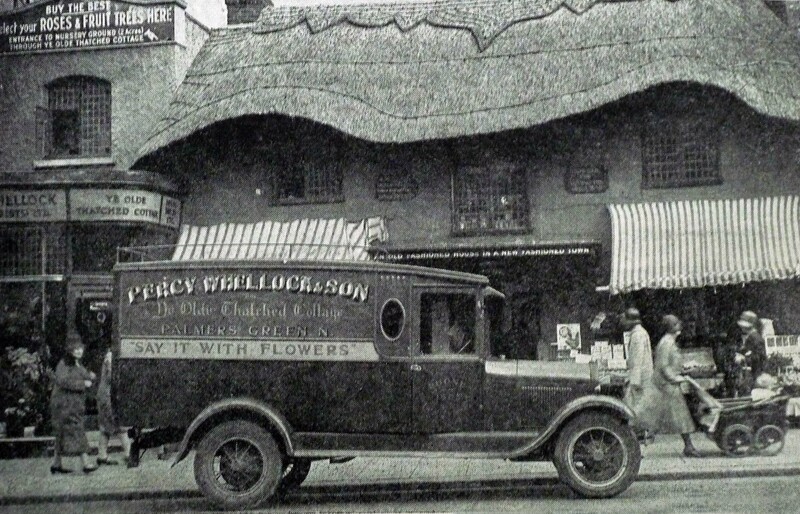 However a legacy remains, including some postal addresses, a first class cricket team and a few thatched buildings…. 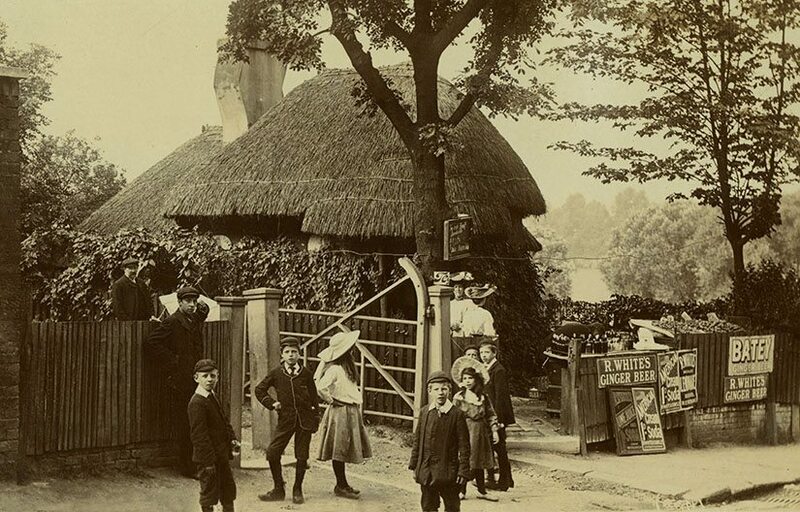 On Shepherds Bush Green… This thatched cottage, long an inn, was once used by one Miles Sydercombe, to house an early version of a machine gun. 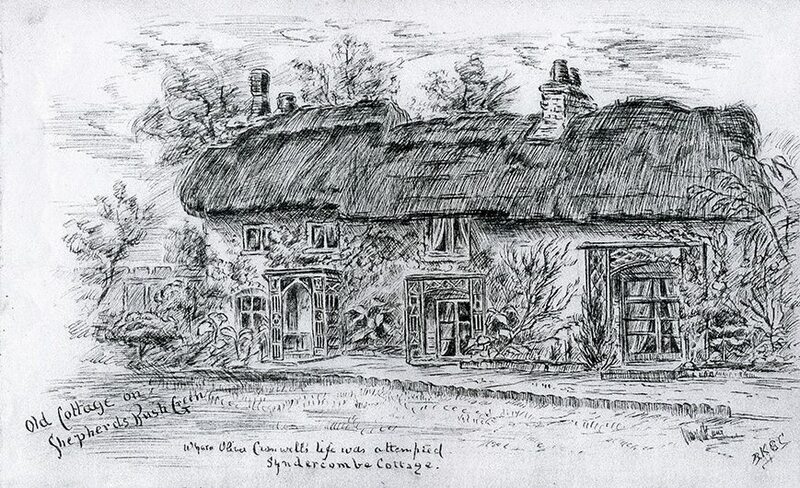 Which failed to kill Oliver Cromwell; passing by, from Hampton Court to the City in 1657. 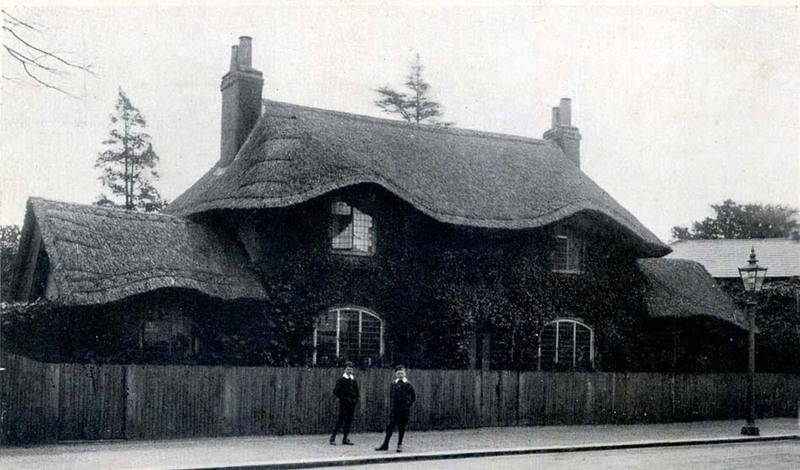 None of which saved this old thatch from demolition, in April 1890. A few years after this sketch was completed. A lost landscape… To help visualise how this small county once appeared, I have included this map, of 1807. 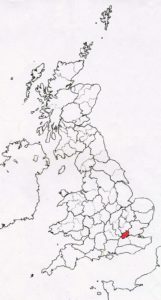 It shows London tucked away in a south eastern corner. And a very rural landscape, dotted with green country estates. This view dates from the same period as most of the surviving thatch. Locations of the images, both old and new, found on this page, are highlighted in black. 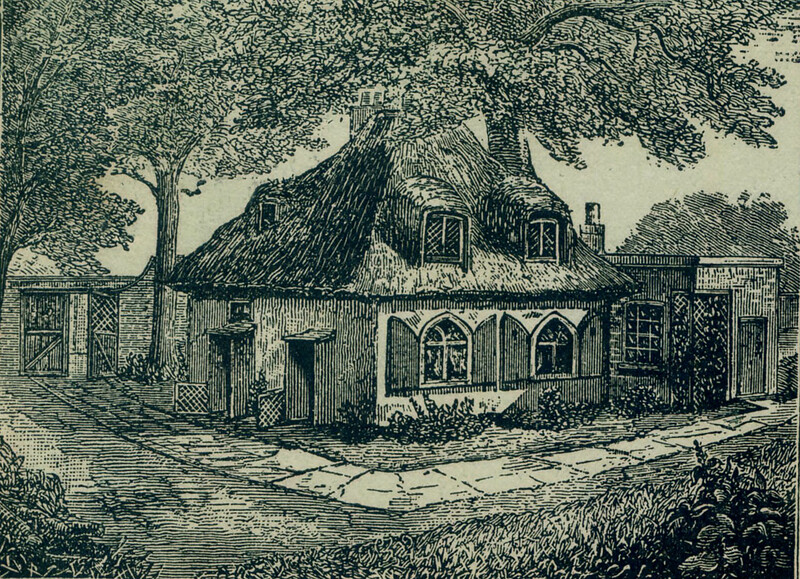 Green Lanes, Palmer’s Green in the parish of Southgate… This cottage was built in around 1780, by a Governor of the Bank of England. 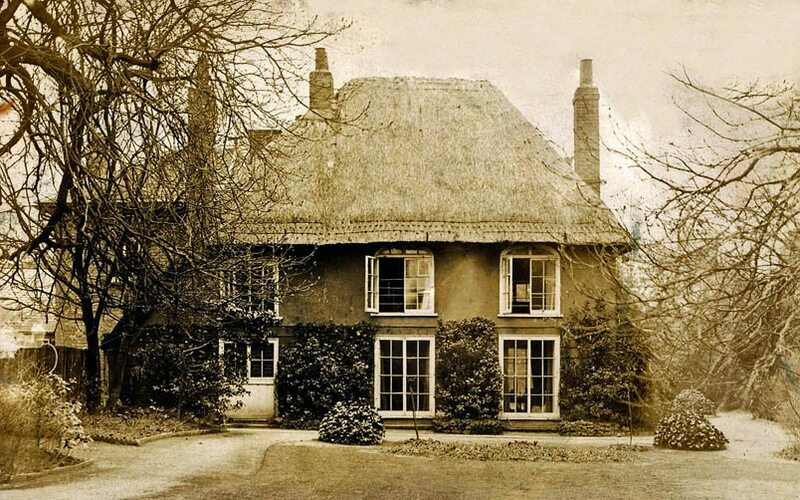 As a lodge to his big house, which stood on the eastern side of ‘Green Lanes’, then an unpaved track, in Palmer’s Green. 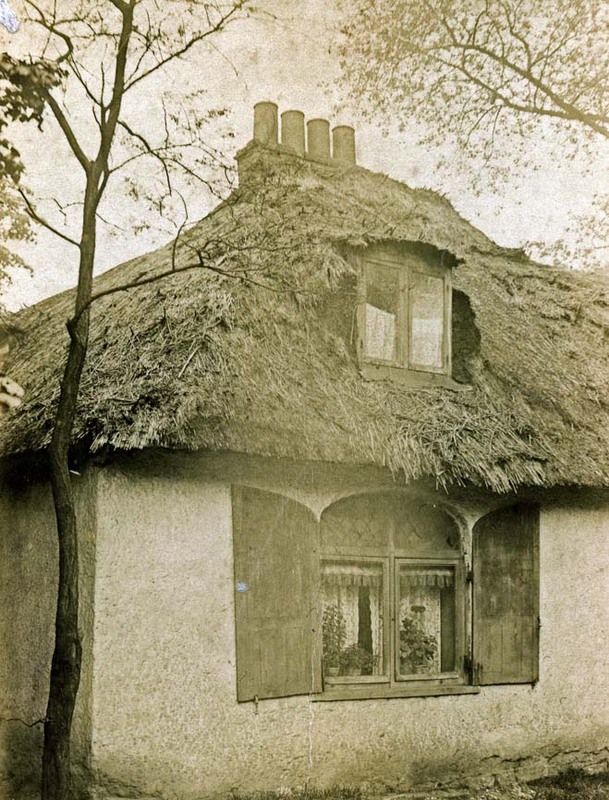 The upper image shows the cottage just after 1906, when the track became a widened road and swallowed up the cottage’s front garden… The thatch is a neat long straw roof, completed in the Eastern style. The three storey art deco building still stands, just up from the Nat West bank. Right image courtesy of Christine Mattews, under Creative Commons. 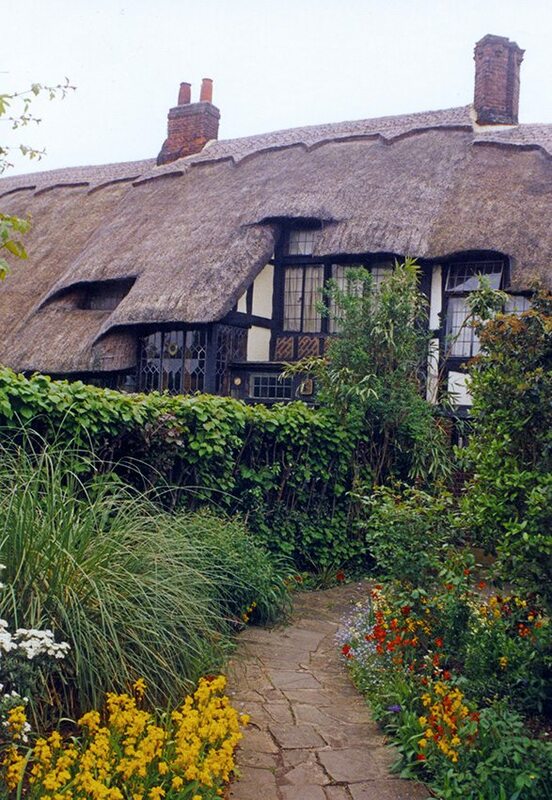 However, the high price of straw, in this period, didn’t deter all use of thatch. At this time, the rich and fashionable loved the Picturesque style of architecture. 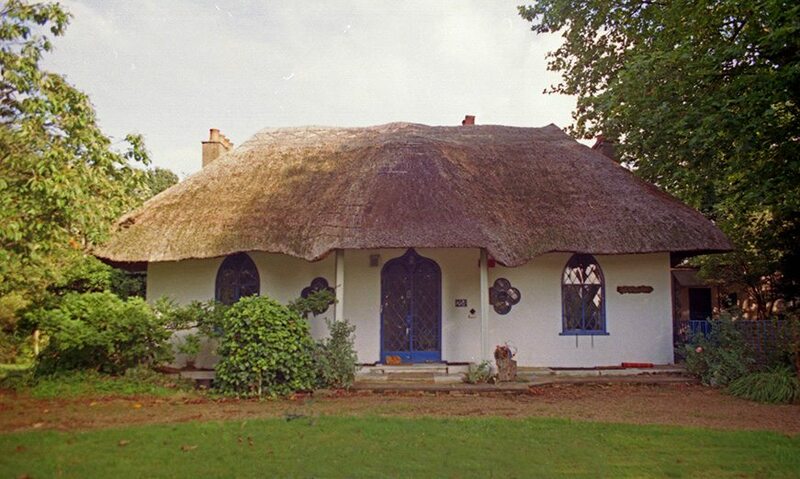 In rural Middlesex as elsewhere, they created more than a few thatched ‘Cottage Orne’ buildings, in this fashion. In fact much of what remains here, dates from this period. Often the only reminder of long extinct, country estates. 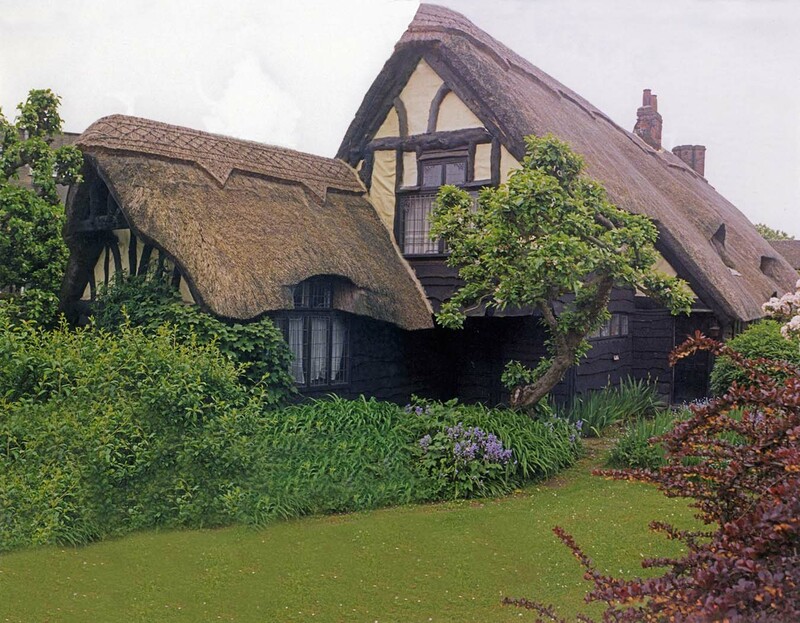 Surviving Cottages Orne… The upper image shows an attractive thatch, at Hanwell. One of several fashionable houses, near the church. 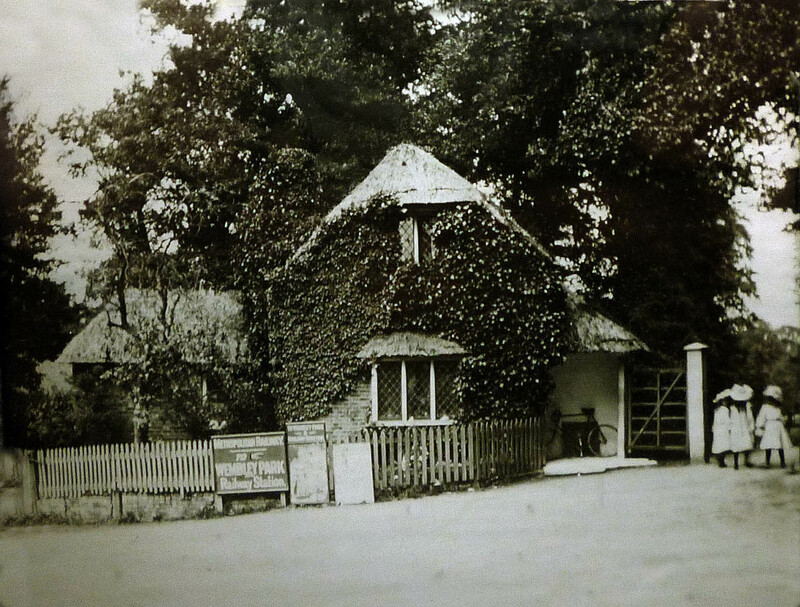 The tiny lodge, below, pictured in around 1905 and shown today with a coat of water reed; is perhaps the only original building, from the old village of Wembley. 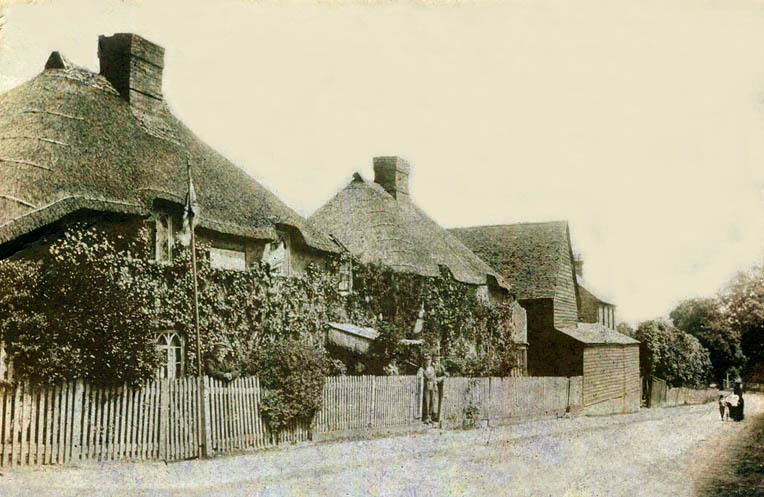 Now in a sea of suburban houses, it once formed the entrance to Wembley Park. Which was created two centuries ago, along with this little building, in the ‘Picturesque’ style. 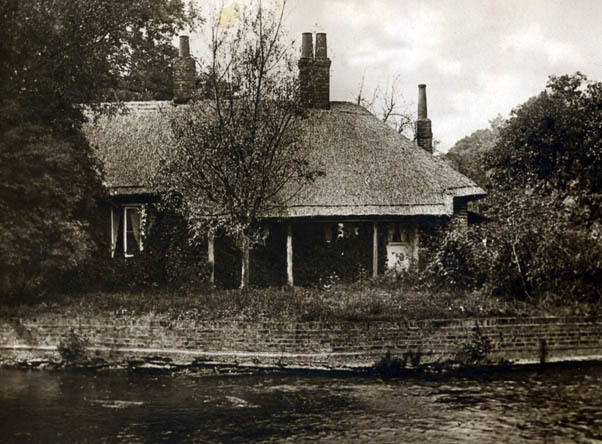 Leafy Enfield… Where this former farmhouse still stands, coated in water reed. Probably dating to around 1804; when the open fields here were enclosed. 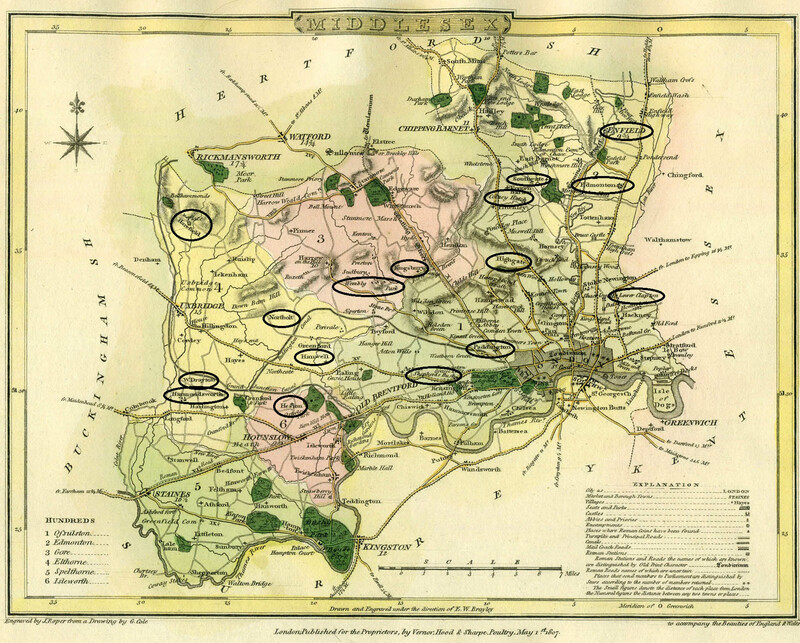 Kingsbury… A parish of 140 scattered dwellings, in 1901. 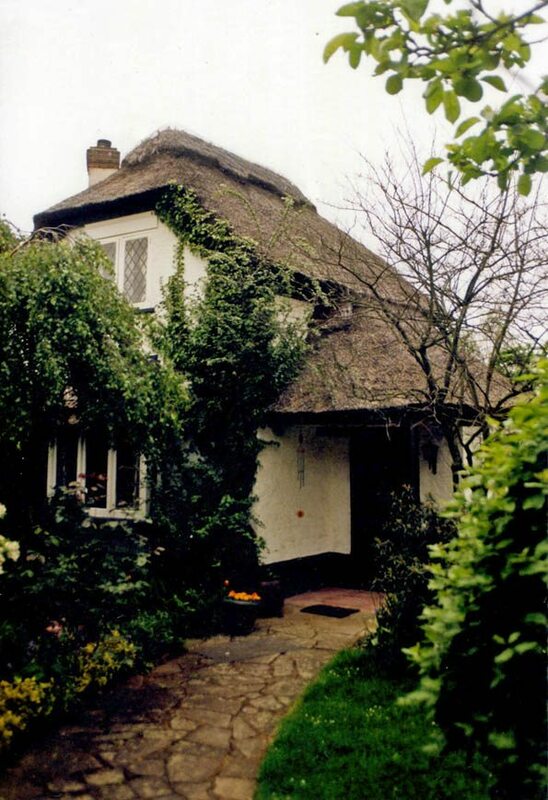 These thatched houses, designed by Ernest Trobridge, recall this rural heritage. Earlier images show them thatched in long straw. 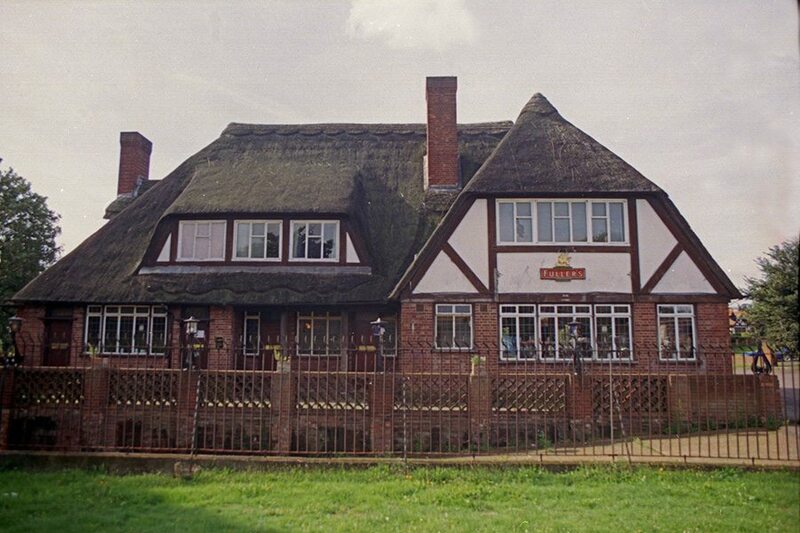 Northolt thatch…In former days, this place was well known for it’s wheat fields. 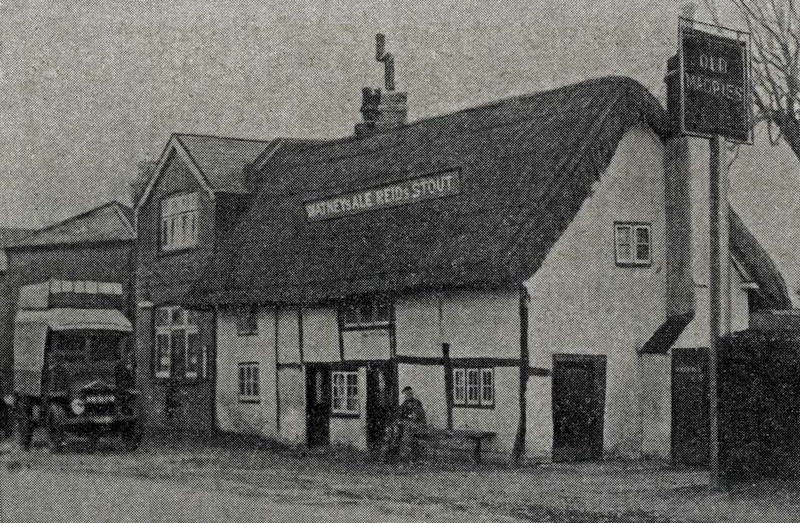 But this photo shows water reed, covering the Plough Inn, rebuilt in 1948. There had been a pub of this name hereabouts, since at least 1746; its modern replacement is still going strong. 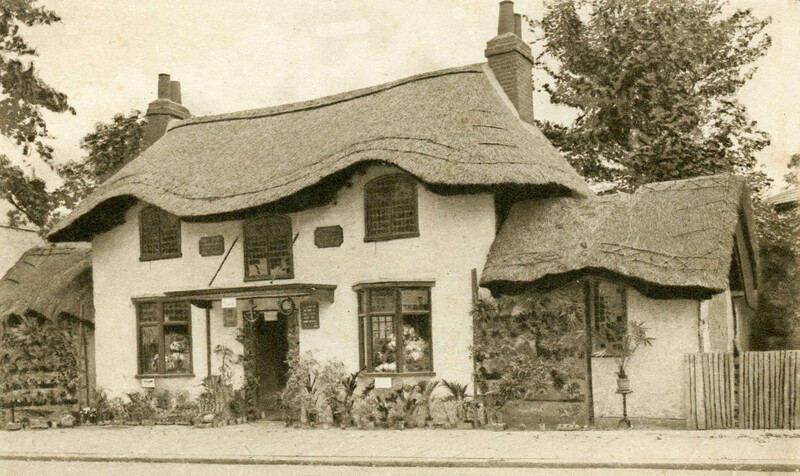 These three images show long disappeared, Middlesex thatch. Above are two photos of thatch in 1890’s Edmonton. 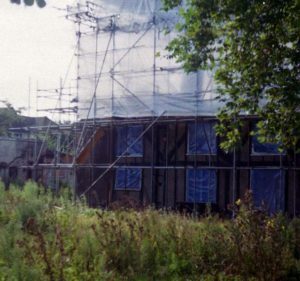 The left at Church Lane is in a sorry state… The right at nearby Church Road shows a eastern style roof, in a much better condition; but both soon disappeared. 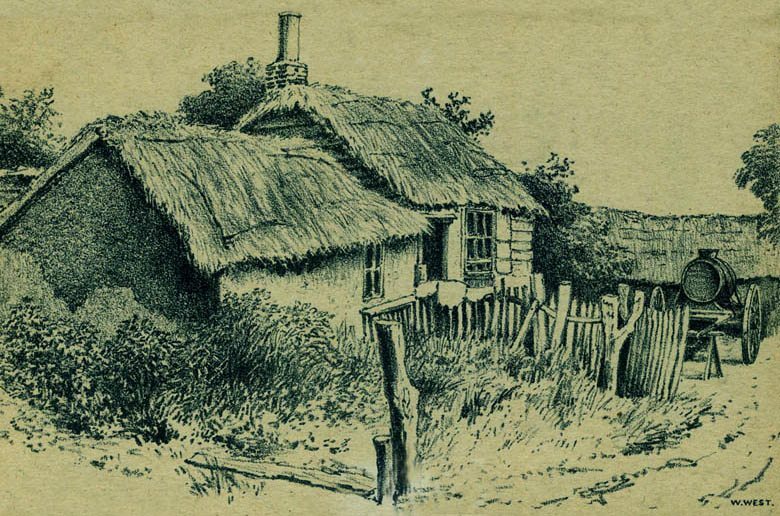 On the left the drawing is of ‘The Water Carrier’s Cottage, Townsend’s Yard, Highgate’. Dated to around 1845. 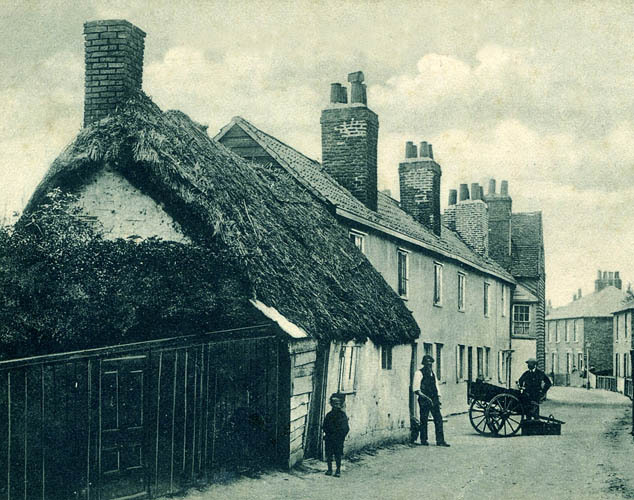 Cottages hereabouts were said to be ‘insanitary’ a few years later and were ‘improved’ twenty years hence. 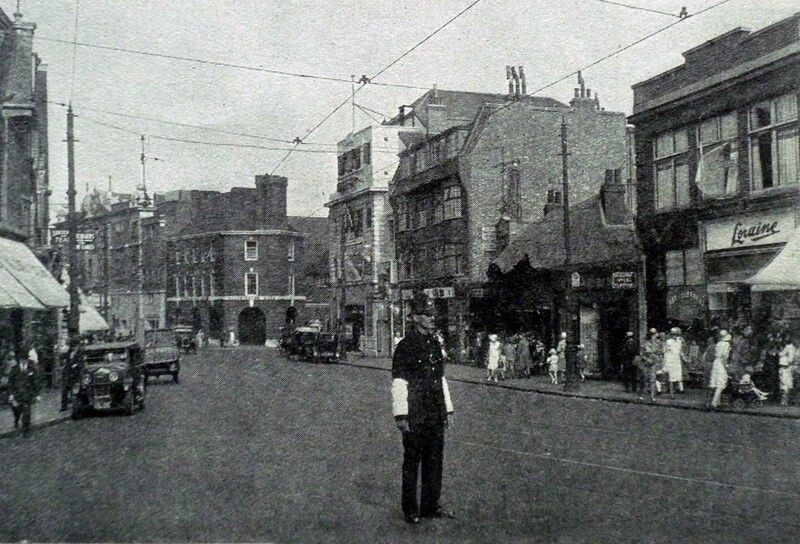 When dwellings, such as this one were very likely demolished. ‘Rather quaint’… Is how this house was described, in around 1905, by an occupier. At first glance it seems like another early nineteenth century, ‘picturesque’ house, often found in these parts. 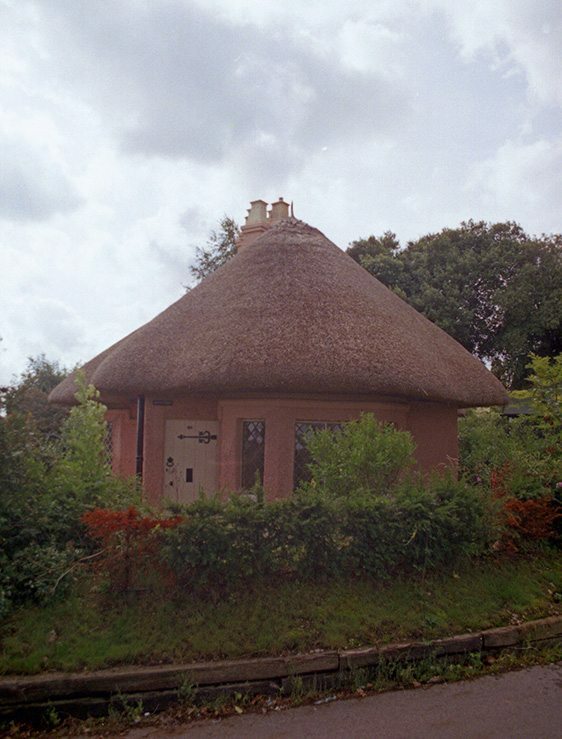 Part of this building is just that, shown here with a coat of long straw thatching. But at it’s core lies a medieval hall house, dating from the late fifteenth century. 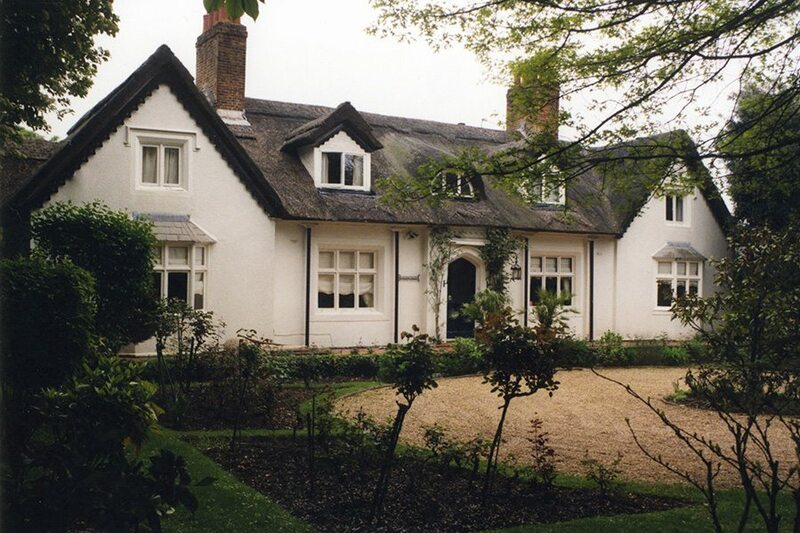 And is a grade two listed building… I’m writing in the present tense, as this property is still standing; just. A rare rural haven… Near Harefield. Not even this old county is fully paved over. 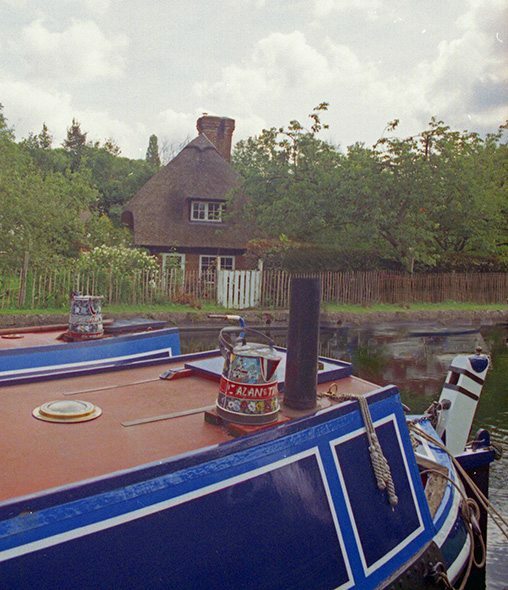 Located in the leafy valley of the River Colne; this former lock keeper’s cottage, was already a century old, when the Grand Junction Canal was constructed, in the late eighteenth century.